Martin Gilbert. El desembarco de Normandía: el día D. Barcelona: Paidós, 2005, 212 pages. Translated by Marta Pino Moreno. ISBN: 978-84-493-1741-5. 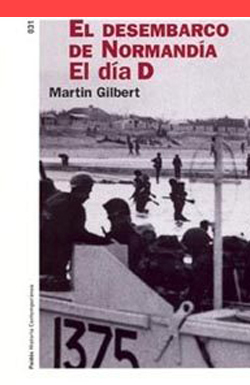 Spanish translation of the original title: Martin Gilbert. D-Day. Amherst: John Wiley and Sons, 2004. Published in Spanish by Paidós.